I really liked the film, “The Gospel of John,” featuring Henry Ian Cusick (Desmond from “Lost”) as a sort of Nazarene Zen Master Jesus. There was some talk around the time of its release that the producer also wanted to make a film of Mark’s gospel. It’s hard to imagine the stampede of two thousand pigs featured in the story of the Gerasene demoniac put on film in the kind of naturalistic style of the John movie. Mark’s gospel with its tightly-crafted pericopes could use the lighting, the score, and the special effects of a horror movie. Demons have been confronting Jesus since chapter 1, but here in chapter 5, he goes out of his way to meet a whole crowd of them. This healing takes place in a territory identified as Gentile. The man who is possessed lives in a cemetery. He is so strong no chain can hold him, and apparently no clothes either, reminiscent of supernaturally strong characters like the Incredible Hulk. He is possessed by the will of another being, like the suburban captives of “Get Out.” The notion of some evil power beyond our measuring stretching a human person beyond his or her physical limits, or controlling that person’s mind, for dire and diabolical purposes, is ancient. I’ve never been a believer in a personified devil, some hellish mastermind micro-managing the forces of evil throughout this world and some netherworld. The spiritual forces that move us toward chaos and pandemonium seem more like part of who we are, compounded by the fears particular to a time and place, the history that feeds them, and a collective desire to remain unconscious of our own culpability in systems of oppression. Do these spiritual forces have their own agency? Or are they counting on ours? I’ve read some commentary on this story that focuses on the economic horror story contained in the drowning of two thousand pigs; no wonder the people wanted Jesus to go away, say some scholars. But let’s get real here: if we want to be free of the spiritual forces that destroy our relationships with other human beings, we’re going to have to be willing to sacrifice things we have previously considered to be of material and communal importance. And those things? 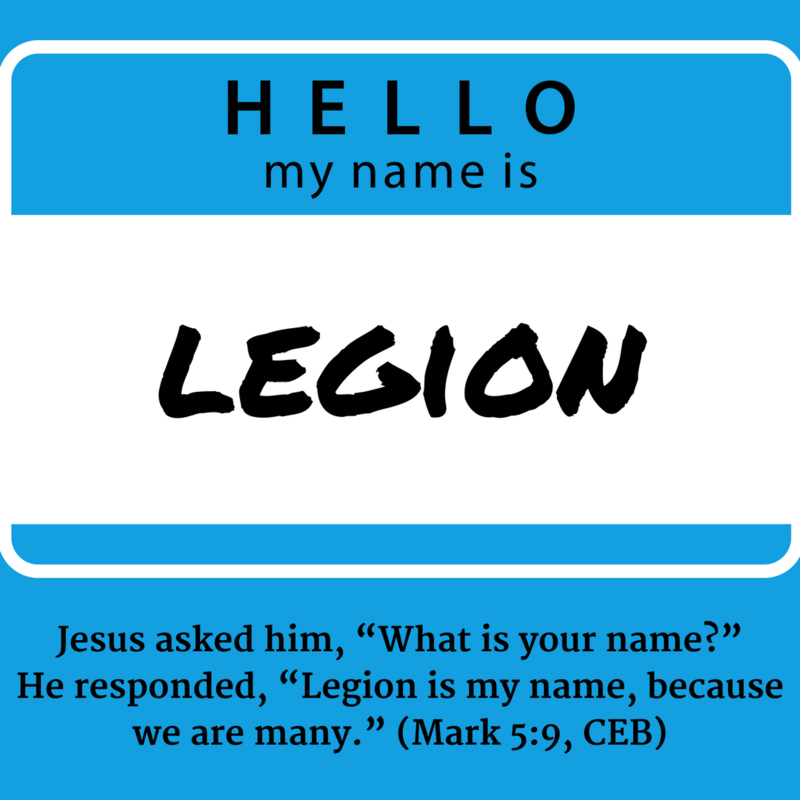 Are Legion. Dear God, my God, I confess that from my position in the human narrative I sometimes cannot see how spiritual forces direct my life. I repent, dear God, my God! I repent and claim my agency, and pledge to let go of what needs to be sent over the cliff, no matter the cost. Amen. 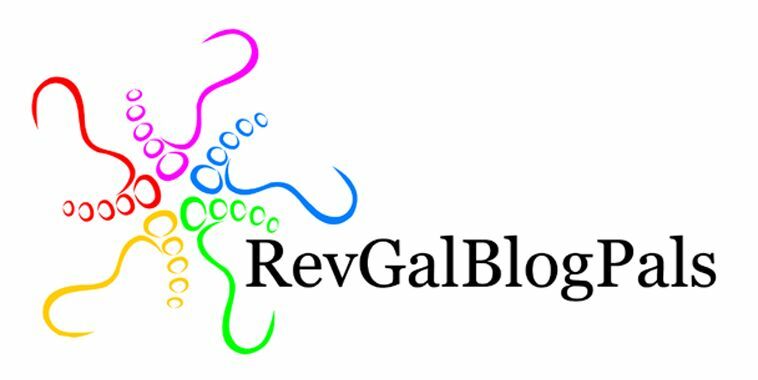 I’m reading and blogging about Mark for Lent. Want to read along? I’m using the Common English Bible because it messes with my expectations of familiar passages. I am also referring to NRSV-based resources including The Jewish Annotated New Testament, which is an especially great resource for today’s passage, and the New Interpreter’s Study Bible, as well as the online Greek interlinear Bible. You can find the full schedule here, including links to earlier posts.